Hashomer Hatzair started in 1913 in Galitzia, ​at the intersection of several significant social movements. ​First there was the scouting movement, which emerged out of Britain and quickly spread across the Austria-Hungarian empire. 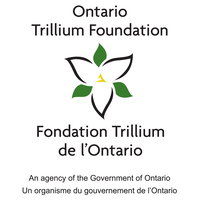 This movement had a strong focus on the outdoors and survival skills, while setting out to ensure it’s youth would grow up to play constructive roles in society. Second there was the aliyah movement (moving to Israel), which arose in response to anti-Semitism across Europe and the popularization of Zionism. After Herzl died in 1904 and the Uganda proposal was rejected, the focus shifted to establishing a home in then-Ottoman Palestine. And third, there was the rise of socialism, which had been gaining in influence since the mid-19th century. But by the turn of the century, labour and socialist political parties started winning seats in national elections around the world, most notably in Argentina, Australia, and Britain. ​Hashomer Hatzair first came to North America in 1923, as Shomrim (members of HH) emigrated from Eastern Europe. ​​Bringing with it the values of the scouting movement, the socialist ideology, and the ultimate goal of aliyah to Israel, the first Shomrim to come to North America set up chapters (Ken) in major cities across the U.S. and Canada. 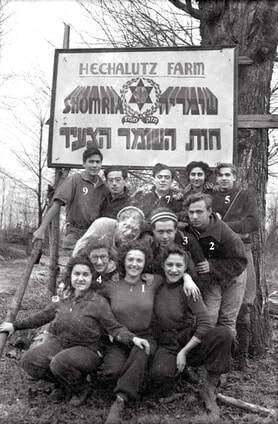 The first summer camp in North America was established in 1928 on a farm in New Jersey to prepare groups of young adults for kibbutz life, in anticipation of their eventual aliyah. Today there are two camps in North America, ours and our sister camp based out of Liberty, NY. By 1939 there were 70,000 members worldwide. But with the spread of Nazism, the movement took on new purpose, serving as key players in the Jewish resistance. In 1943, Mordechai Anilewicz, head of the Warsaw chapter (Ken) of Hashomer Hatzair, stepped up as the leader of the Warsaw Ghetto Uprising, the largest Jewish insurrection during World War II. Hashomer Hatzair played a crucial role in the foundation of the State of Israel. Before 1948, Hashomer Hatzair was already politically active. They were the only party within the aliyah movement to accept Arab members as equals, advocate for Arab rights, and call for a binational state in Palestine. After 1948, the HH Workers Party merged with other left-wing parties to form Mapam, which later transformed into Meretz. Furthermore, since even before the British Mandate, members of Hashomer Hatzair were involved in ensuring the security of Jews making aliyah to Israel. 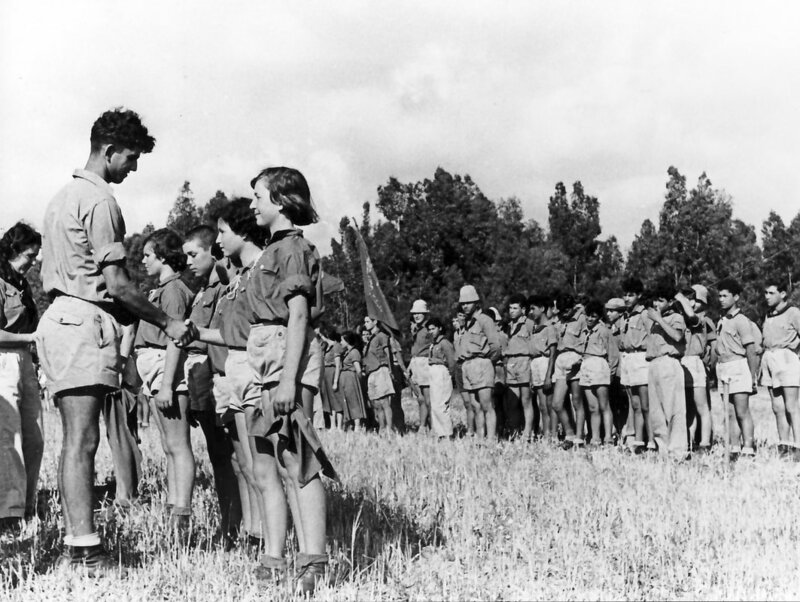 Their efforts placed them at the heart of the formation of the Haganah, the Jewish self-defense organization prior to 1948, and would go on to lead the Palmach, the Haganah’s most elite unit. 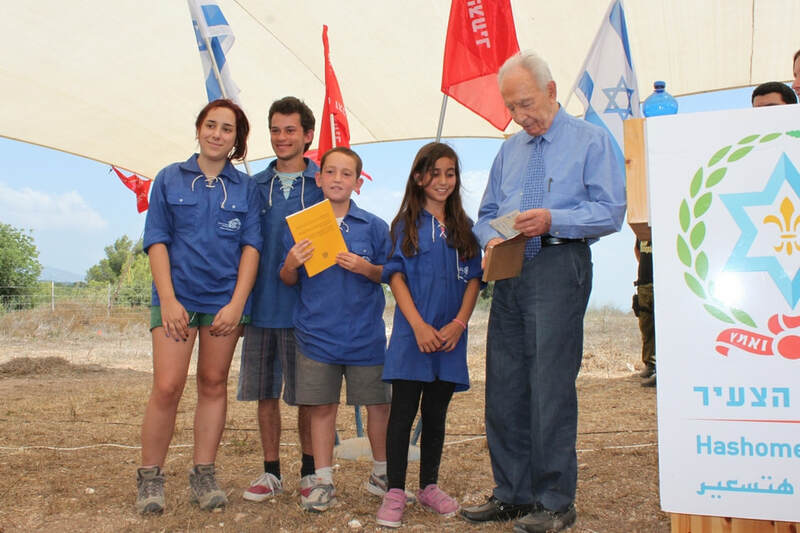 During and after the Holocaust, Hashomer Hatzair helped survivors settle in Israel. In total, Hashomer Hatzair has founded 85 kibbutzim that at their peak were home to more than 20,000 residents. Hashomer Hatzair has continued to grow with the changing times. Today there are approximately 7,000 current active members of Hashomer Hatzair in Israel, and another 7,000 spread out over 21 more countries. And that's not including the many thousands more who were raised in the movement, and now live our values out in the world. Some of HH’s most notable bogrim (alumni) include Menachem Begin (the Israeli Prime Minister who made peace with Egypt), Isser Harel (Mossad Director who captured Eichmann), and Arik Einstein (Israel’s most influential musician). In the early days of the movement, aliyah was the central objective. However, today, at least for Hashomer Hatzair in North America, the focus is primarily on supporting young people to navigate the current complexities and perceived tensions associated with fostering an identity connected to Israel while holding universal values, connected to Judaism while living a secular life, and connected to socialist ideals while existing in a capitalism society. Representatives from across the World Movement of Hashomer Hatzair regularly come together to keep the movement aligned and relevant for our generation. For more on that, take a look at our Mission and Values.